This year, new products will be introduced to the market in the group of nut and fruit bars under the SHE + ENERGY fruit & nut and HE + ENERGY nut & choco brand. Both recipes and packaging are ready. 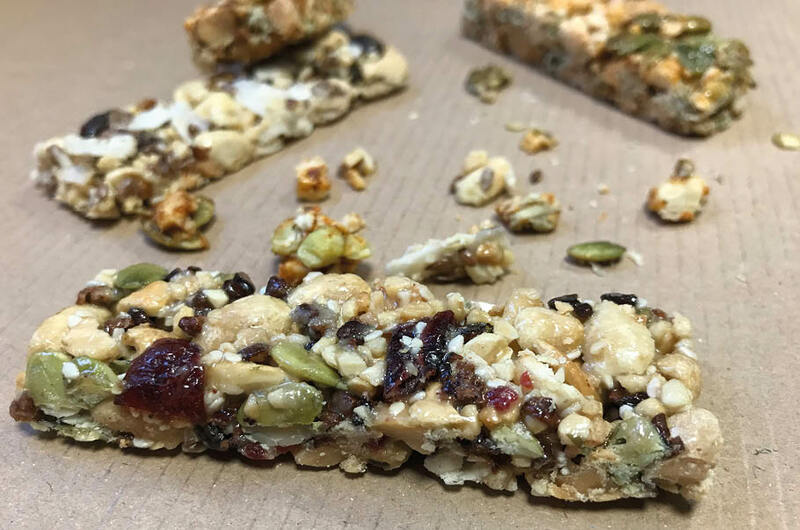 In the near future, this line will be expanded about bars for vegan: HE+ENERGY nut & spicy (bars with nuts, seeds spices like chili or tomato and basil) and HE+ENERGY superfruit & nut (bars with nuts, seed and fruits like cranberries and raw cocoa nibs or goldenberries). Advantages of bars: for vegan, no added sugar, gluten free, no GMO, no soy, 100% plant protein. Bars will be high in fibre, vitamine B3, Magnesium or Potassium.